More importantly, what’s already here?! 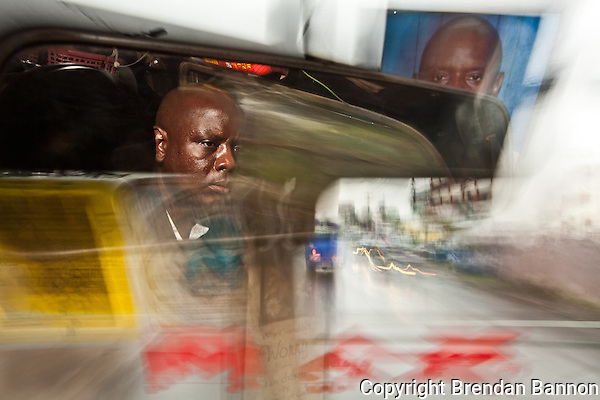 Have a look below at the first Daily Dispatches, in Nairobi, Kenya, to see how we spent a month photographing, reporting, editing and presenting the daily life of one of Africa’s most exciting cities. Since Daily Dispatches: Nairobi, Brendan and Mike have been talking to a series of international corporations, non-governmental organizations and academic institutions to expand their unique way of telling stories and reaching audiences. We all read the news everyday. What if we could read about the things that really matter to us, and then interact with what will be told to us tomorrow? During the first Daily Dispatches, in Nairobi, there were a bunch of images that I took that didn’t exactly fit the narrative of the story we were filing that day. But still, they tell the story of Nairobi today. Removed of editorialization, perhaps they are a stand-alone opus of the city, visually. Mobile phone use in Kenya has risen sevenfold in as many years, internet access is ever cheaper and smart handset technologies are freeing people from traditional bonds. By Mike Pflanz. HURLINGHAM, April 30, 2011 (Daily Dispatches) – High on the muddy Kinangop escarpment, where the rain off the mountains nourishes fertile soil, a farmer with a crop of snow peas is negotiating prices with a trader up from town. The farmer is being offered 8¢ a pound. Until recently, he’d have no way to know that down there where the buyers are, that same pound of peas would fetch him 37¢. Today, however, he can pull his cheap Nokia from his grubby pocket, send a text message to a dedicated shortcode and, moments later, the live market price will beep back into his inbox. His text message had bounced along mobile phone masts down the mountain, past the lake, along the edge of the valley and into a laptop on a desk in a room in a Nairobi office block, 55 miles to the east. There it had landed into a computer database created by three young city IT graduates, all women, where it gathered up the information the farmer needed and then bounced all the way back up the mountain. All in a second. M-Farm, this innovative text message service, is one of a raft of smart computer and mobile-phone based programs sweeping into a market only just waking up to the potential of tech, of the internet, and of clever connections forged virtually. Nairobi has been described as a geographical space where people live markedly different lives, divided by wealth, education, income and opportunity, where intersections between classes are few and fleeting. But new technology, driven by faster internet, cheaper mobile phones, and a better educated population, is breaking down barriers, democratizing access to information, and accelerating economic growth and development. Leading the way are applications for mobile handsets. Cell-phone use here has risen sevenfold from 9% of the population in 2002 to 65% in 2010, according to figures from the Pew Research Center in Washington. Computer usage has risen from 12% in 2007 to 22% in 2010. “It’s exploding, the number of people like us taking IT into completely new areas,” says Linda Kwamboka, one of the M-Farm trio, a 23-year-old university student so fresh from college she won’t even graduate until summer. She works from the iHub (‘i’ for innovation), a high-ceilinged room walled in glass and lime-green paint on the top floor of a nondescript office block in the Nairobi suburb of Hurlingham. Two dozen young women and men sat leaning into their laptops, some conferring quietly. Break-out meetings took place on the balcony. The foosball table stood waiting. 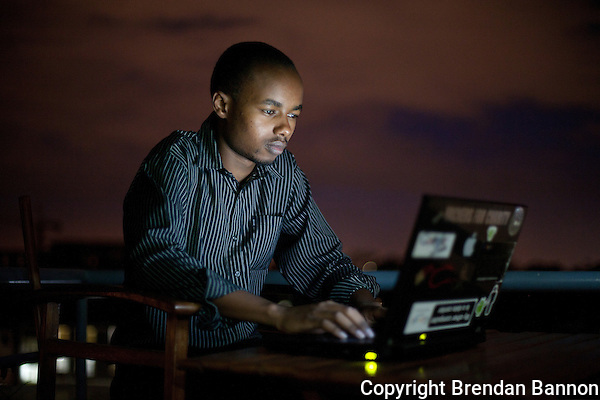 The iHub – a year old last month – calls itself an ‘incubator of ideas’. It’s an open co-working and community space, cheap to join, hooked up to superfast internet, for Nairobi’s vibrant young tech community. M-Farm started its life here. So did M-Order, a customizable platform set up by 22-year-old Hilda Moraa for online ordering of anything from pizzas to make-up. Sammy Njoroge, a recent intern at Google’s office in Dublin, Ireland, passes through regularly. Head of his own firm, Data Logic, he comes to thrash out software coding conundrums with like-minded peers. The list of apps conceived, gestated and born at the iHub grows daily. “Kenya is a peculiar market,” said Njoroge, 23, who’s building capital for his dream app (in mobile health services) by offering outsourced IT support to small enterprises across the city. Arguably Kenya’s first and still its most successful such innovation is M-Pesa, a mobile money transfer scheme which debuted in March 2007 and has since grown to 6.5 million subscribers and 2 million daily transactions. M stands for mobile. Pesa is KiSwahili for money. It’s astonishingly simple. You walk into a shop and give cash to a teller who loads it electronically onto your cellphone. Then you send it by text message to any other registered user in the country, who goes to their nearest outlet (they’re everywhere) and withdraws the cash over the counter there. In a country where few people had bank accounts, and money was often moved around the country from relative to relative and business to business by bus drivers or truckers, M-Pesa was and still is a revolution. Its beauty is its simplicity. If you can afford a mobile phone – and prices have fallen from more than $300 for a basic handset a decade ago to less than $30 now – and you can send a text message, you can use it. For some of the more complex developments spiraling out of places like the iHub, however, there are still barriers, especially for web-based applications. The cost of a phone might have dropped, but even at $30 it’s still an investment of a month’s salary for the poorest in the city. Accessing the internet on your phone costs less than 10¢ for 10MB – again, low, but not free. The main barrier, however, is language. The internet, still, is largely written in English. That’s one of Kenya’s official languages, granted. But it’s the language of the educated. Way across the other side of Nairobi, in a suburb so full of Somalis that it’s known as little Mogadishu, a team from Google’s Kenya office has rented an internet café for the afternoon. Two dozen young Somali speakers, students, translators, journalists, Kenyan, or from neighboring Somalia itself, are in a high-decibel debate. They are trying to work out the best way to translate into Somali the phrases we know so well from our daily internet searches. ‘Search’, itself. ‘I’m Feeling Lucky’. ‘Blog’, ‘Maps’, ‘Email’ and ‘Hyperlink’. This is the latest of more than 20 similar such focus groups around Africa which Google has used to test its websites in the continent’s indigenous languages. The first four, Swahili in East Africa, Zulu and Afrikaans in southern Africa and Amharic in Ethiopia, went live last year. The next tranche include tongues with fewer speakers, but still enough to justify the investment of turning Google in English into Google in Wolof, Setswana, Sesotho or Hausa. “It’s really difficult because a lot of these concepts we understand about the internet in English, don’t exist in these new domains,” said Denis Gikunda. 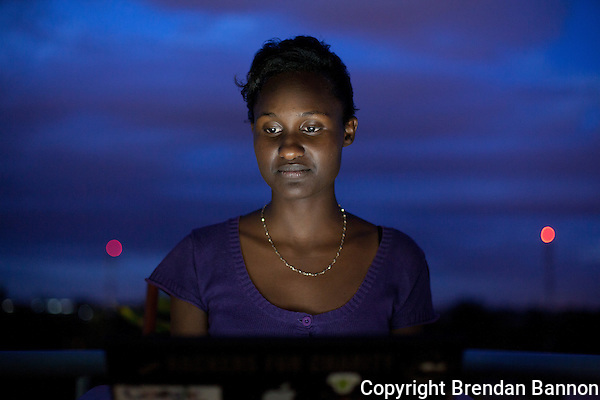 The Montreal University software engineering graduate, a Kenyan, heads up this bit of Google’s office in Nairobi. The Somalis in that internet café, in Eastleigh, struggled for a long time even to define ‘network’ in Somali. Proffered suggestions were shot down, because they were said to translate more like a fisherman’s net, a spider’s web, or woven reeds used to tie bags to a camel’s back. But once the exact phrase is agreed upon, it will be locked into the screen, and become the word, in Somali, that millions of that language’s speakers will click on when they use Google Somali once it launches. Why go to all this trouble? People who use the internet are educated, aren’t they? They understand English, don’t they? That’s an argument that rattles Gikunda. “That’s the problem,” he said. “The traditional approach is that in order to appreciate and benefit from what’s on the internet, I need to go to school, I need to know English, I need to understand a computer, get good at it, only then am I allowed to access the internet. This is a major shift, and it’s happening at the same time as those web-enabled mobile phones have gotten cheaper, and the internet’s gotten faster, and app developers at the iHub have gotten smarter. 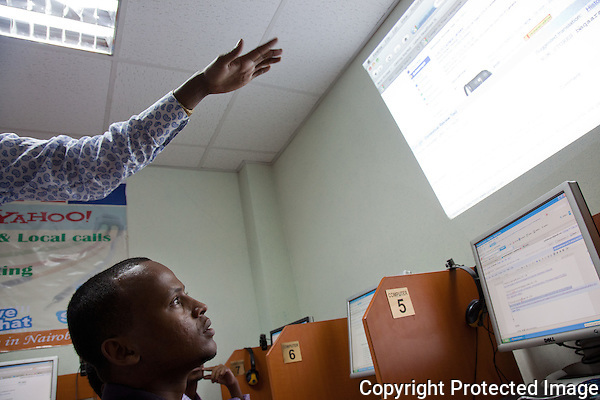 It’s happening at the same time as the Nairobi Wikipedia Chapter, formed only last year, is in discussions with funders to take offline versions of the internet encyclopaedia, on hard-drives, to schools around the country. And it’s happening in an environment where people no longer distrust using their phone to move money, check their electricity bills, or read the country’s new constitution, now online alongside all Kenya’s laws, for all to see. Together, these moves will unleash Nairobi’s, Kenya’s and Africa’s dormant presence on the web (there are only 25,010 Wikipedia pages in Swahili, compared to 3.6m in English). And with that will come a shift in the sense of people’s individual power to find information, to learn from sources other than authorities, to explore with no-one monitoring you. Structures – schooling, government, employer-employee ranks, a previously timid media – have held back individual citizens from connecting across hierarchies. Indeed, this has not gone unnoticed among the authorities in Nairobi, perhaps nervously eyeing the so-called ‘social network revolutions’ in North Africa. Saturday’s Standard newspaper carried a story, headlined ‘Young guerrillas in cyberspace’, raising the alarm over “an increasing misuse of social media by young people to fan hate speech” ahead of Kenya’s next general election in 2012. That may be the case, but it’ll be a minority. 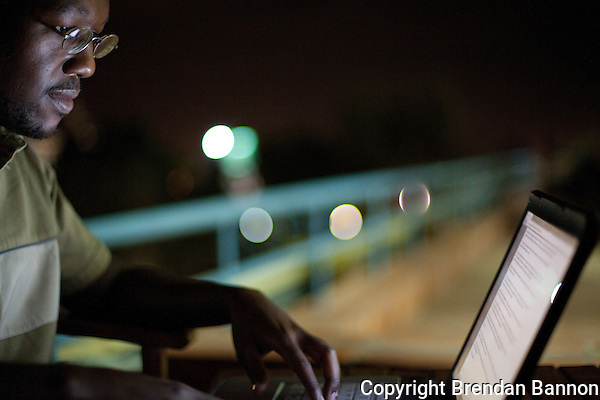 The overwhelming majority of Nairobians, a pioneer generation online via their mobile handsets, are finding nothing but benefit by being connected, to each other, to their country, to the world. 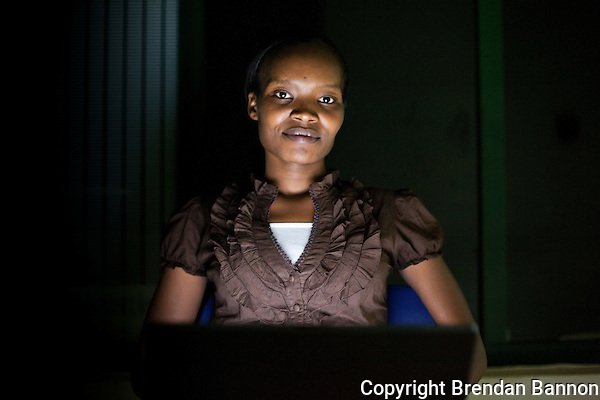 “These are people who believe in technology and growth” said Hilda Moraa, the M-Order founder from the iHub. “But then there are people want to do things the same way as always. We want to tell people we can change and develop by allowing technology to be used as a tool. That change, clearly, is gathering momentum. It won’t be stopped, despite those still extant barriers of cost, web access and language. “You know, when I was in Ireland, there were a ton of very simple tech ideas I saw in the West that I knew I could bring here and implement and make a difference,” said Njoroge, of Data Logic. 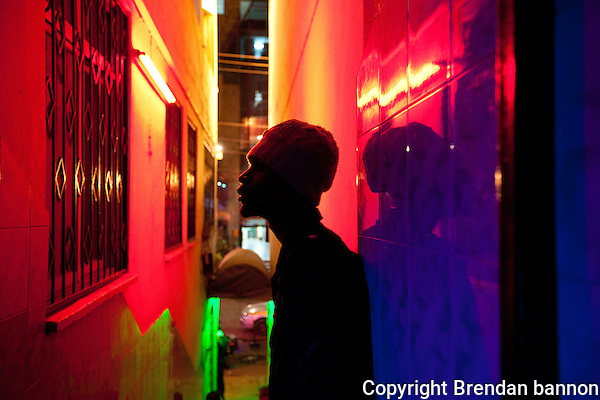 Nairobi has long struggled to shake off the nickname Nairobbery, but Mike Pflanz discovers during a day with a CID detective that most crime figures are falling. 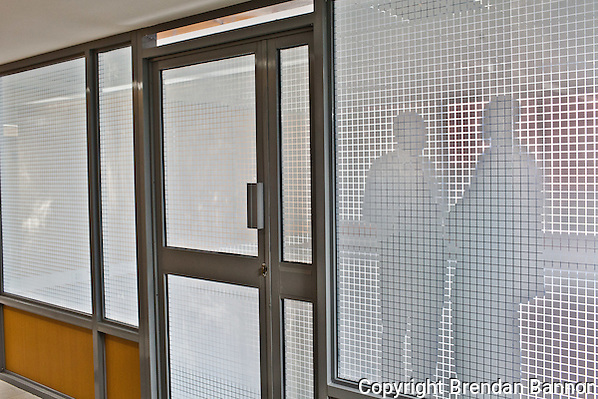 CITY CENTER, April 28, 2011 (Daily Dispatches) – Behind the frosted glass door of an empty office in one of Nairobi’s largest banks, Corporal Patrick Simiyu is quietly meeting a source. In February, hackers broke through the Cooperative Bank’s online security and illegally transferred half-a-million dollars from customers’ accounts onto 480 cellphones hooked up to Kenya’s mobile money scheme, M-Pesa. When they began withdrawing the cash, computer alerts sounded. Tuberculosis, a once-endemic disease now under control in the West, infects one person a second mostly in the developing world. 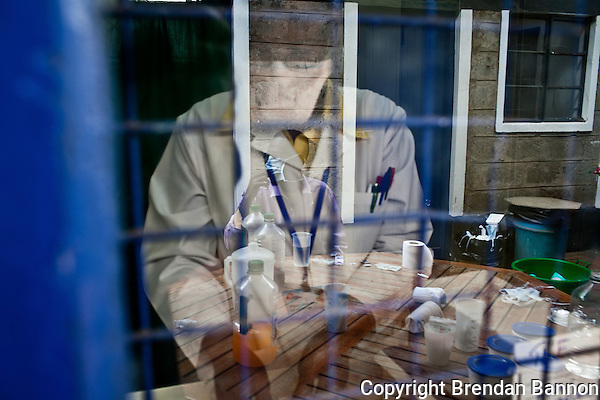 In Nairobi, Mike Pflanz talks to three men now finishing the arduous two-year treatment program. AHMAD YUSSUF, 22: “I was born in Mogadishu, capital of Somalia, and from a very young age I think I had this disease. By the time I was eight, I was taken to a doctor about pains in my chest, he found I was carrying the illness. I was given pills, they helped, but soon it was the same again. “You know, in Somalia, I was born two years before the start of the civil war. Since then, there has been no government to organize hospitals, or to pay for tablets for poor families like mine. For many years, I would go to a doctor, he would give me pills, I had to take them for six months, and I would feel better. Then, after that, I would fall sick again, vomiting blood, feeling so weak, losing my appetite and weight, and I had to take the pills again. Staple foods are twice the price they were at the start of 2011. Mike Pflanz hears how this is hurting traders and customers alike. 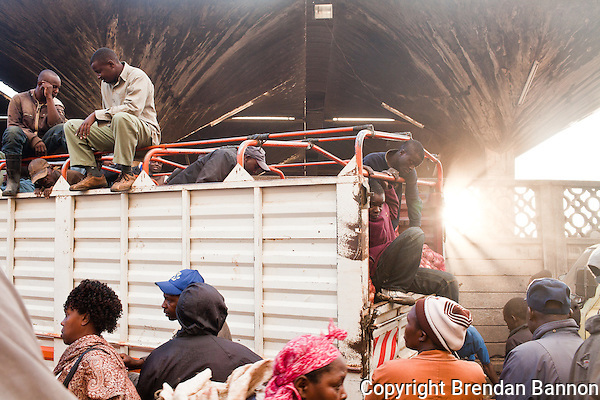 CITY CENTER, April 26, 2011 (Daily Dispatches) – It is not yet dawn but Wakulima Market is chaos. Bystanders duck as men carrying 150lb bags on their shoulders hiss past. Handcart pullers jostle for business in the fluorescent half-light. Vegetable trucks reverse blindly. 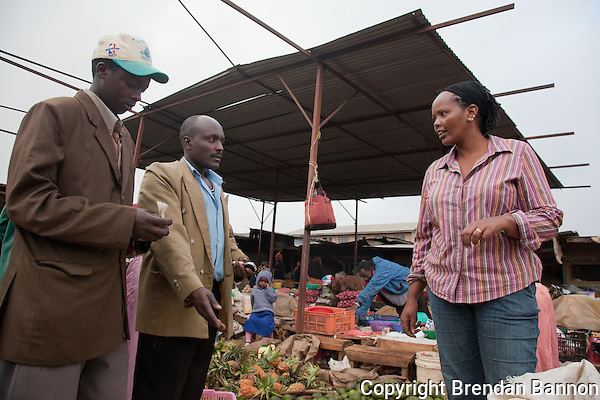 This is Nairobi’s largest wholesale farmers’ market. Suppliers who have often driven through the night from their fields strike deals with traders who then sell goods on to the city’s supermarkets, restaurants and small-scale market stalls. 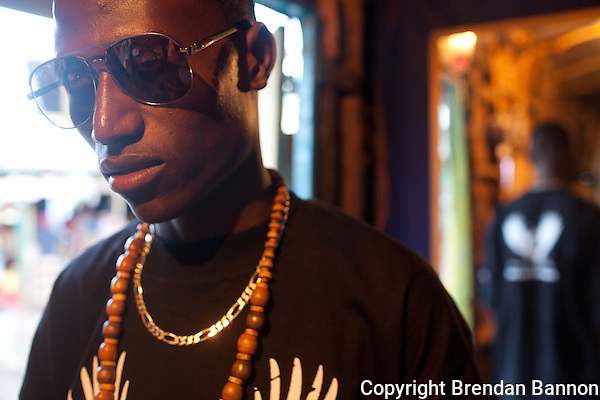 Uncounted hundreds of children and young men live rough on Nairobi’s streets. They tell Mike Pflanz their stories. 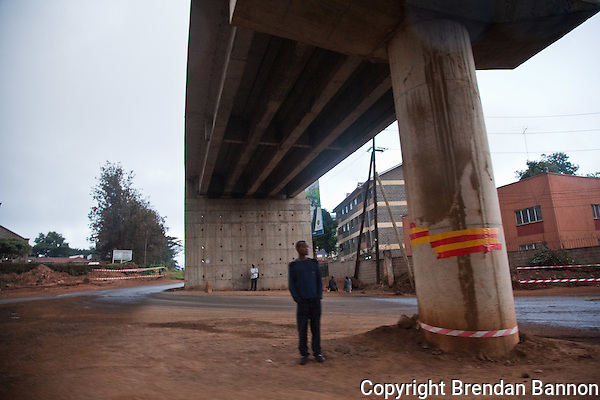 WESTLANDS, April 25, 2011 (Daily Dispatches) – It used to be worse, people tell you. The kids would swarm around your car, ready to launch a handful of faeces straight at you should you fail to pay. Keep your windows up, doors locked, that was the only way to drive through Nairobi. Today, that doesn’t happen anymore. 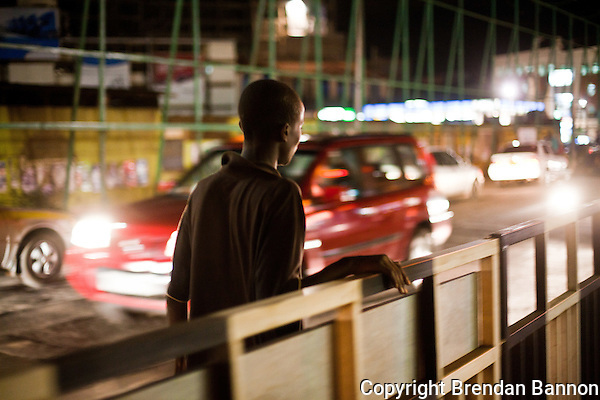 The government, in operations with questionable motives and methods, have moved many of the city’s street children to ‘homes’ on the outskirts. 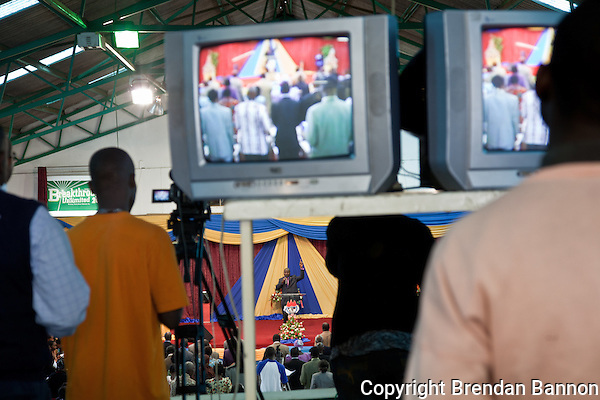 Congregations are growing across all beliefs in Nairobi. Mike Pflanz explores what faith means to religious leaders and their followers in a fast-changing world. WOODLEY, April 24, 2011 (Daily Dispatches) – The main hall, brick-built with a high tin roof, is packed. The tents outside, three of them, are packed. And still people are streaming in. Welcome to Winners’ Chapel, early on Easter Sunday morning. As the choir, smartly dressed in white shirts and black skirts, take their seats, a compact man in a charcoal suit jumps to the stage, beneath a sign promising “Financial Fortune Is My Heritage: Deu 8.18”. 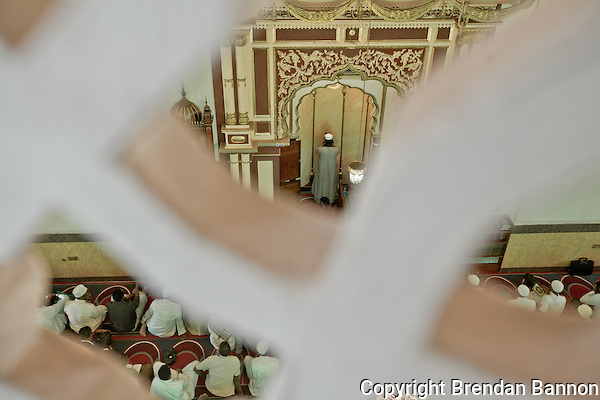 CITY CENTER, April 23, 2011 (Daily Dispatches) – Nairobi, cosmopolitan city that it is, hosts people of pretty much all faiths and religions you can imagine. By numbers, the most prominent are Christians, then Muslims, Hindus, Buddhists and a plethora of traditional belief systems. This weekend, as the city shuts down for the Easter holidays, Daily Dispatches is taking a little time out from the hustle of turning around a story a day. We’ve not stopped the work though – far from it. We’re talking to religious leaders from the three main faiths, and to their congregations, about what faith means to them, and how it is changing as the city modernizes and expands around us. We’ll post the Dispatch we hope late Sunday or early Monday. We’re really keen to hear what kinds of questions you would want us to put to these leaders: an evangelical Christian preacher, the Imam of Kenya’s largest mosque, and a Hindu priest at one of Nairobi’s many temples. Please leave us a comment here, or on our Facebook page, and we’ll do our best to feature their responses in the Dispatch. Happy Holidays to all, if you’re lucky enough to be off work this weekend. 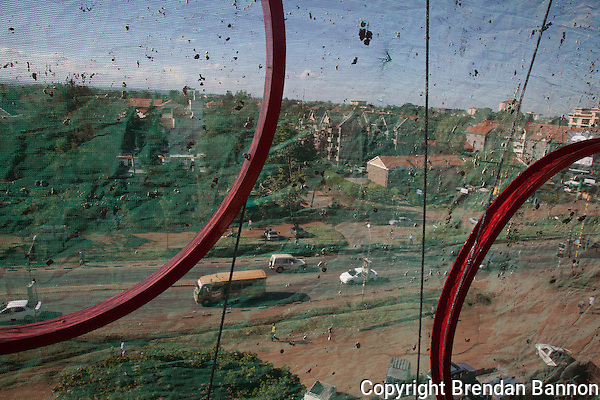 THIKA ROAD, April 21, 2011 (Daily Dispatches) – Let’s think of this city as a body. Let’s think of its heart as its businesses, pumping vitality and sustaining circulation. Let’s think of its brain as its universities, schools, and policy panels, all – in theory – scheming for a brighter future. Its soul, let’s imagine somewhere in its pubs, clubs, churches, mosques and temples, and in its family homes. 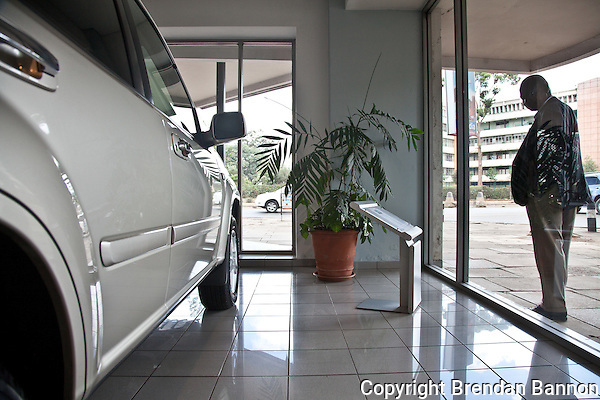 Mike Pflanz charts the rise of car ownership in Nairobi, and sees how what were once toys of the few are now available to the many. INDUSTRIAL AREA, April 20, 2011 (Daily Dispatches) – It was once the ultimate symbol of power in Africa, a car which gave its name to the continent’s often crooked elite: the ‘WaBenzi’. But the Mercedes Benz is losing its position as the only car to buy to boast of your success, as sales plateau, overtaken by Japanese SUVs and muscular 4x4s. 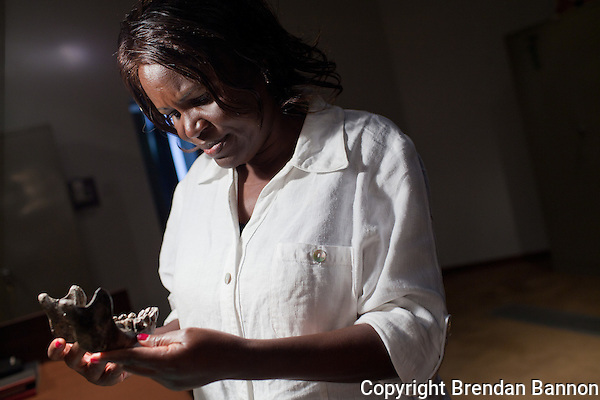 In the vault of Nairobi’s National Museum lies one of the world’s most important fossil collections. Mike Pflanz hears why it is so precious, and why financial struggles might delay fresh finds. MUSEUM HILL, April 19, 2011 (Daily Dispatches) – The steel cabinet looks little different from the other 22 here in this chilly, climate-controlled strong-room. On its door, sticky tabs printed on an old hand-held labeller cryptically say W. Turkana Hominids, 85S, Eliye Springs, Nariokotome. Inside, seven compact wooden cases with black metal clasps lie on shelves, all marked KNM-WT 15000. Nairobi’s character changes after the sun’s gone down. P.O.P and Richie Rich, hip-hop musicians with the city’s Ukoo Flani collective, tell Mike Pflanz how past midnight is not as you might imagine. WESTLANDS, April 16, 2011 (Daily Dispatches) – It’s way into tomorrow already, and the DJ at the Skylux club, on the 3rd floor of a nondescript office block, has packed the dance floor. It filled up late – the Barcelona vs Real Madrid soccer game kept most of the partygoers in the pub longer than usual. But now the beats deepen, and the dance-floor darkens. 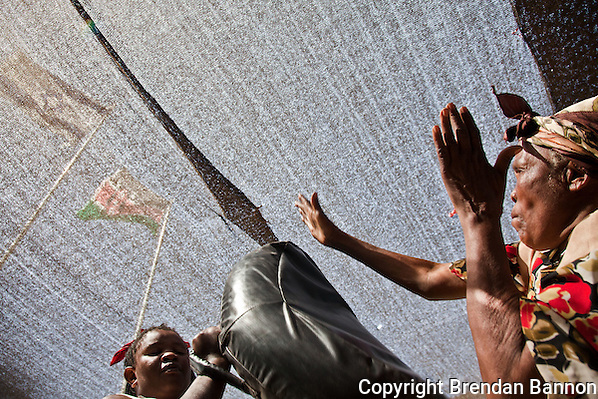 KOROGOCHO, April 15 (Daily Dispatches) – First a prayer, then a stretch, then a hammer-fist blow. Two dozen women, none younger than 60, were gathered at a school for disabled children for their latest lesson how to fight back against an epidemic of violence sweeping this Nairobi slum. Mike Pflanz offers a personal view on Nairobi’s construction boom, and what it could mean for the city’s future. WOODLEY, April 13, 2011 (Daily Dispatches) – The face of this young city is undergoing radical plastic surgery. In what the media here never fail to call “the leafy suburbs”, 1930s stone-built bungalows behind manicured hedges are being torn down and multistory apartment blocks rising high in their place. Out on the upgraded highways snaking into the city, red tiled roofs stretch across acres of what was once empty grassland tended only by Masai cattle. Malls are morphing from charming clusters of family-owned grocers and butchers, where everyone knows your name, into many-outlet monoliths to Mammon. At well-to-do dinner parties, this is a constant topic of slightly disapproving conversation. Think of all the traffic. Have they upgraded the sewer pipes and the water supply? How will the electricity grid cope with all this extra demand? Mike Pflanz joins commuters on one of a recently doubled number of early morning train services to the city. 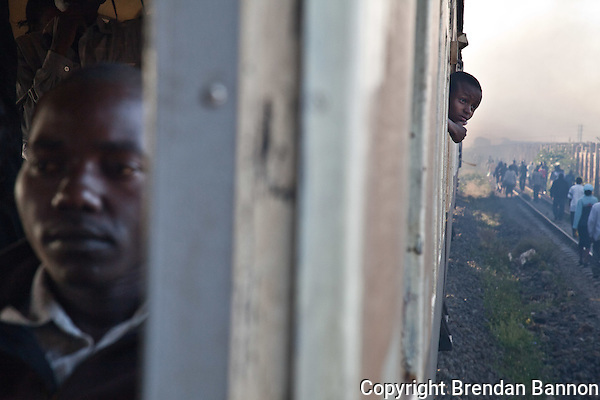 Does this signal a rebirth of the railroad that helped create the country that is Kenya? ON THE 06:40am TO NAIROBI, April 12, 2011 (Daily Dispatches) – We pull slowly out of Athi River station, leaving behind the run-down railroad shed that is now home to the Jesus Victory Center and a tinshack kindergarten. Ahead, an hour-long commute, through the Athi plains once swarming with wildlife, beneath final-approach to the international airport, through the smoggy iron-roof slums and the industrial area, and into the heart of Nairobi. Economic growth, stalled by the global financial crisis and Kenya’s election violence, is rising once again. 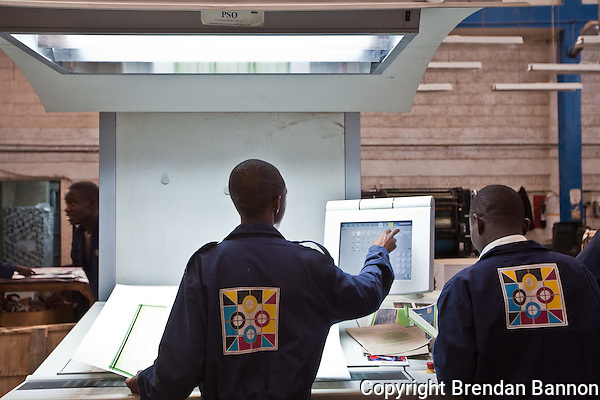 Nairobi’s businesses are poised to reap rewards, Mike Pflanz finds. INDUSTRIAL AREA, April 11, 2011 (Daily Dispatches) – With an incessant computer-controlled hiss clack clack, hiss clack clack, a million-dollar machine the size of a bus was churning out 14,000 bank flyers an hour. Over in the corner, sales pouches for a cellphone firm’s SIM cards were being folded. Nearby, neat stacks of An Introduction to Public Health stood ready for shipping. 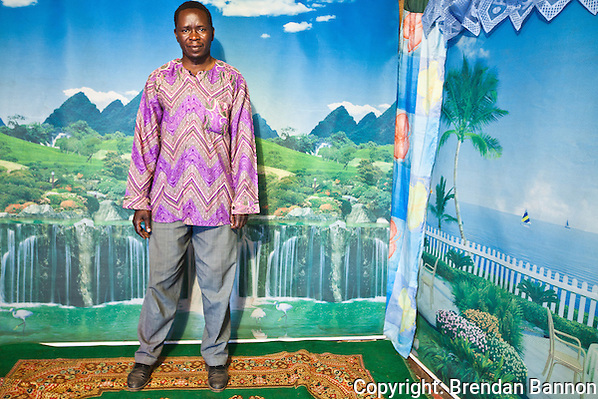 KIBERA, April 10, 2011 (Daily Dispatches) – Peter Olendo talks to Mike Pflanz about his business as a studio photographer – his first camera, the advent of digital photography, and never forgetting a customer’s legs.